On April 29, victims of Chornobyl were honored in the Ukrainian Greek Catholic Parish of the Veil of Our Lady in Budapest. 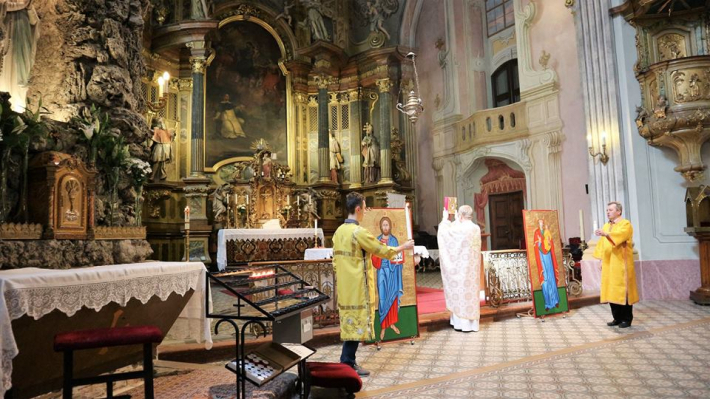 After the Divine Liturgy, a memorial service was held. The Ambassador of Ukraine to Hungary, Mrs. Lyubov Nepop, addressed the guests in the church and said: "The accident at the Chornobyl Nuclear Power Plant makes us to reflect on the true patriotism of those Heroes who liquidated the consequences of the disaster at the cost of their lives; on the extent to which we are really interlinked; also, on the importance of solidarity and mutual assistance; and on our responsibility for the fate of the country. These concepts today, in the face of Russian aggression, remain more relevant than ever." Father Damian Gaborij, a priest for Ukrainians in Budapest, emphasized that we should also take care of the ecology of our souls. As part of the memorial events, a concert-requiem was performed by Nazar Tatsyshyn, a tenor of the Lviv Quartet Leon Voche.